Donatella Versace is joined on the runway by the legends of the modeling industry while walking in the Versace fashion show on Friday (September 22) in Milan, Italy. From left to right, Donatella was accompanied by Carla Bruni, Claudia Schiffer, Naomi Campbell, Cindy Crawford, and Helena Christensen. All five of the ladies stunned in gold dresses and the struck a pose at the beginning of the runway before walking down it together. It was a family affair for Cindy as her 16-year-old daughter Kaia Gerber walked in the show. She has already built an incredible resume after making her runway debut just a couple weeks ago. Following the show, Cindy and Kaia walked the red carpet together at the Vogue Italia “The New Beginning” Party. Hugh Jackman is opening up about his 21-year marriage. 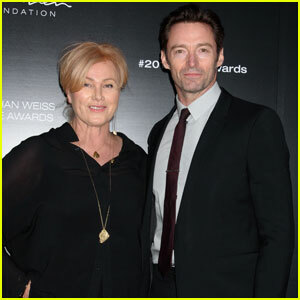 The 48-year-old Logan actor was asked about the secret to his relationship with wife Deborra-Lee Furness, whom he married back in 1995. 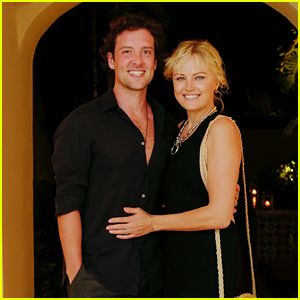 Pictured: Hugh and Deborra-Lee stepped out at the 2017 Stephan Weiss Apple Awards with Hillary Clinton, Andy Cohen, and Helena Christensen on Wednesday (June 7) in New York City.